If there is a cook in your life, whether they're professional or not, and you can't think of something special to give them on Valentine's Day, Noble Verjus is perfect. Verjus is one of many top restaurants' culinary secrets. There are a number of people who believe that it's all in the sauce. Verjus is one of the many tools that acclaimed chefs around the world use to deliver their patrons world class sauces. 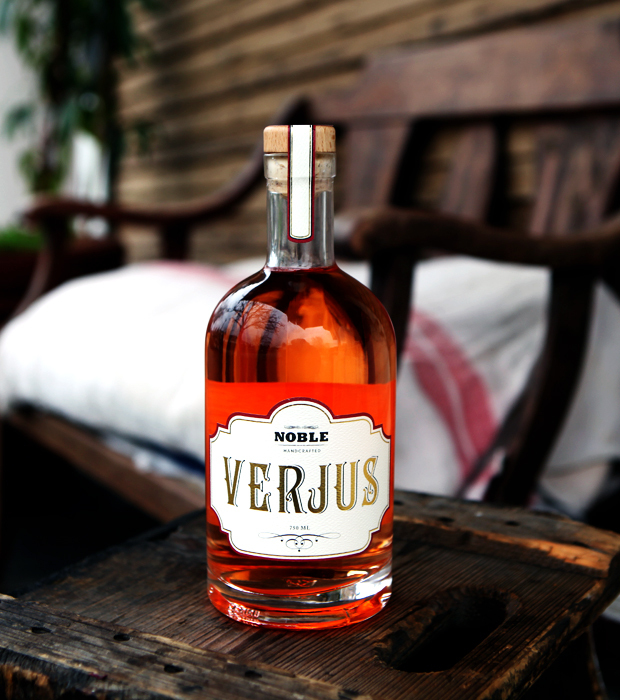 On a literal level, Verjus translates to green juice. Technically, it is the juice of unripened grapes. Think of it as a subtle vinegar, which is fantastic to use for pan sauces or as a replacement for vinegar in homemade salad dressings. Truthfully, I've never tried a Noble product I haven't fallen in love with, and their Verjus is no exception. That's not a bad idea. I think this is a lot better idea then getting my girlfriend a pair of socks. That is not that romantic.